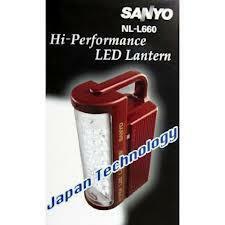 SANYO NL-L660 EMERGENCY LED LIGHT LANTERN FOR 220 VOLT. Sanyo NL-L660 Rechargeable LED Flash Light Keep this EMERGENCY LANTERN plugged into a wall outlet and it will light up automatically when power fails. Twin LED x 22 lamps can be operated simultaneously of independently, and help you efficiently in might-time car repairs, near-at-hand task etc. 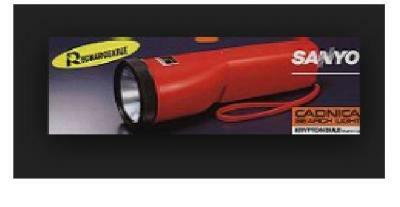 The EMERGENCY LANTERN works up to 52 hours on a charge, it's perfect for outdoors, camping, fishing, or just to walk around at night. 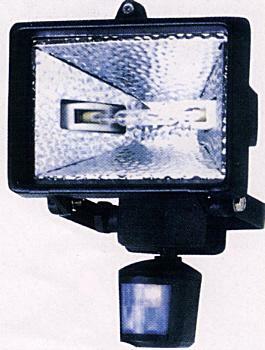 Stand-by light is perfect to take with you when you go fishing and camping, etc. 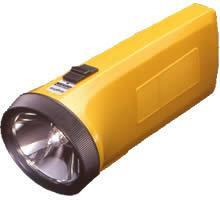 Works great as an emergency light as well. 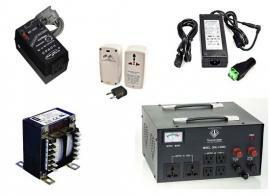 Keep stand-by light connected to AC outlets and it turns on automatically whenever power fails. 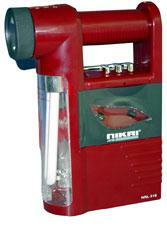 The emergency lantern helps you efficiently in night-time car repairs, near-at-hand tasks, etc.